Lighting designer and physicist Daniel Strömberg joined ÅF in 2007. Together with colleagues in Denmark and Norway, he initiated the Lighting business area. 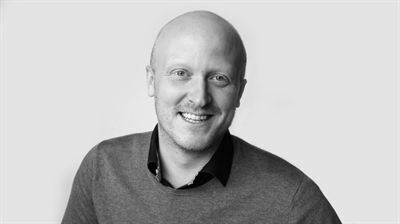 Currently, he manages the lighting team at the Stockholm office - a particularly diverse team, with people of various nationalities and competence profiles. Daniel, please describe how you work with equal opportunities? I believe in recruiting the best people for the job, regardless of their background, gender, age, etc. Our Stockholm team consists of some 30 people, and features many different competencies, eleven different nationalities and almost as many women as men. We strive to create an open and inclusive team culture in which differences in background and skill are embraced. As I like to say, we’re all equally different. And I’m pleased to say that this seems to work: we have low turnover rates and we attract highly competent people. In what way does diversity benefit the business? To put it simply, a diverse workforce makes for successful projects. We live in a globalised world and the clients we work with are not all the same. To be able to understand and work well with all of them, it is vital that our own workforce reflects that diversity, and that we are familiar with various markets, languages and cultural differences. With a broad spectrum of backgrounds, competencies and personalities to choose from, you have a better chance of creating well-functioning teams, where the members’ skills and profiles complement each other. Equality and diversity is useful for attracting talent, improving morale and making highly competent teams even more successful. When people of different cultures and backgrounds are brought together, this often results in a greater exchange of knowledge and raised levels of innovation. How do you cope with language issues? The fact that our staff speak many languages is often an asset rather than a problem. When working with international clients, it can be a great advantage. We have presented concepts in Russian, for example. It is useful in a PR context, as well. For instance, we have recently proof read and fact checked articles in Spanish and Portuguese, and when participating in a lighting competition in Rome, we were able to submit our entry in Italian. Of course, Swedish is required in many projects, and our non-Swedish speakers are encouraged to take language classes, partly on company time. Also, when you are learning a language it is important to have opportunities to practise, so we try to use Swedish as well as English in our internal meetings, where appropriate. That’s for others to say, really, but I strive to be approachable and sincere and to develop my leadership skills continuously. My ambition is to be a leader rather than a manager, in the sense that true leadership is much more than being appointed to a managerial position – it is something that has to be earned. As the staff are our greatest asset, my most important task is to facilitate their development. I do believe that you need to be gently pushed out of your comfort zone in order to grow. I also try to build an inclusive culture where everybody feels their input is valid. Personally, I like being challenged by new ideas, as it makes me grow in my role and my thinking. What qualities are you trying to foster in your team to make it successful? Great communication skills are always vital. In a team like ours, with so many languages and backgrounds, communication can present a bit of a challenge initially. But actually, this helps us, as it teaches us the importance of clarity, feedback and two-way communication. Secondly, it is essential for everybody to let go of prestige. To be truly successful, you must want to learn and develop. Therefore, you need to ask for help at times, and be prepared to share your own knowledge in exchange. Finally, when you have team members with passion and drive, I believe in giving them the chance to shine. They do not necessarily have to have the “right” experience or the perfect educational background. Nothing gives me more pleasure than to see a person start out as an intern and then grow into a skilled professional. Would you like to share any advice with your ÅF colleagues? The way I see it, there are many reasons why equal opportunities should be integrated into our company culture. It helps improve communication and the exchange of ideas, and helps build relationships and networks. We are all ambassadors for ÅF and should be able to promote our services – all 7800 of us! Who are you when not at work? I am married and we have two children: a six-month-old girl and a boy of two and a half. When I have a spare moment, I like to get creative by tackling some DIY task at the summer house or “helping” my son with his Lego, which I find very relaxing.